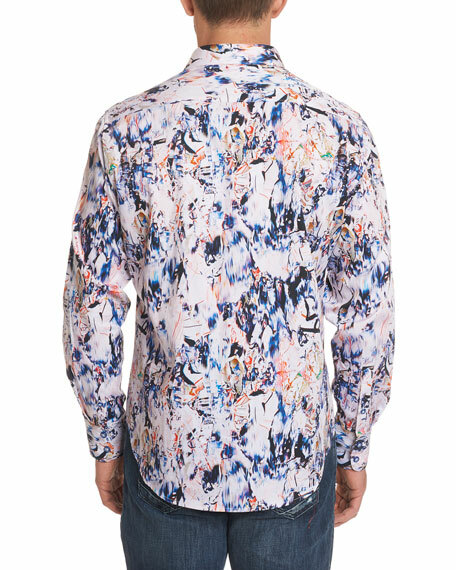 Robert Graham "Jardin" sport shirt featuring artful smear-print. Signature Knowledge Wisdom Truth embroidery. 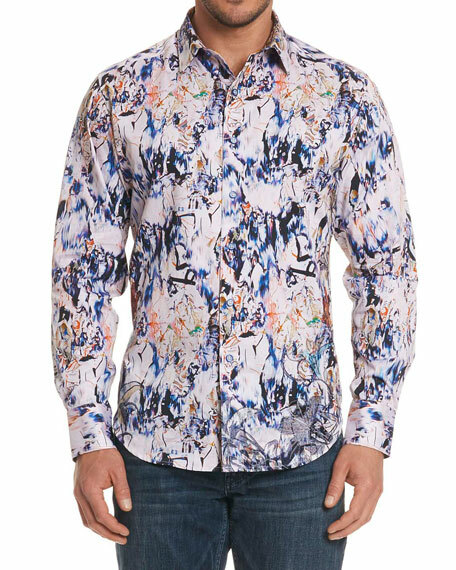 Notched collar; French-placket button front. For in-store inquiries, use sku #2537776.